Once, Greens co-leader James Shaw's comment this week that the current government does not deserve to be re-elected if it fails to introduce a capital gains tax would have been regarded as yet another reason why the Greens kept themselves from being invited into government for almost 20 years. But now they are inside the tent, the comment takes on a more significant perspective. Not because there was ever any doubt the Greens would back a capital gains tax - after all, they have never yet met a new tax they do not like - but because of the acid it puts on the government's formal coalition partner to state where it stands. At the moment, it holds all the cards. With the Greens having now declared their hand, the future of the capital gains tax rests not on the tax working group's recommendations, nor even the Labour Party, but on the nine New Zealand First MPs, or, to be more specific, their quixotic leader. To date, they have maintained their typical silence. With recent polls showing that New Zealand First will struggle to be in the next Parliament, an issue like capital gains tax is potentially a heaven sent opportunity for the Party to reassert its independence and act as a handbrake on government to stop the implementation of an unpopular policy. Indeed, James Shaw's statement could almost be seen as inviting New Zealand First to do just that, perhaps in the hope of restoring itself in Labour's eyes as the preferred partner it was before the last election. But it is not as simple as that. For a start, on this occasion, New Zealand First is not just any other party. It is the government's formal coalition partner, and its leader is the Deputy Prime Minister. And the capital gains tax is not just any other policy. It is a key plank of Labour's tax policy, and, as such, comes into the category of a confidence and supply issue. Failure to gain support to introduce such a policy, let alone a formal vote against it in the House, would raise serious questions of confidence, and could potentially bring down the government. And an election brought about in such circumstances would almost certainly see the end of New Zealand First. So, there are strong reasons for New Zealand First supporting the introduction of a capital gains tax, albeit after a few tweaks. However, a capital gains tax is unlikely to be popular with a chunk of New Zealand First's provincial and rural support base. Not that many of them are likely to be affected by it, but, as both Labour and National found out during the superannuation debates of the 1980s and 1990s that spawned New Zealand First, it was not the reality of the impact of the superannuation surcharge - which never affected more than a quarter of superannuitants - but the perception that every one of them was hit, and the fear amongst those under 65 at the time that it would hit them too, that did the political damage. A similar reaction is likely if a capital gains tax is introduced, which is why New Zealand First is likely to face pressure from its support base to resist the proposal. So the decision to support or oppose the capital gains tax is likely to be a finely balanced one for New Zealand First, which is where James Shaw's statement assumes its real significance. It is far less a statement of the Greens' position, (which no-one would have been at all surprised to hear anyway) and much more an attempt, to flush out where New Zealand First stands. It also gives more than a passing hint to the tensions within the coalition government on the subject. In that respect, one has to feel a little sorry for the Greens. They spent most of the last Parliament preening themselves as Labour’s coalition partner in waiting, only to be gazumped at the altar by New Zealand First, because Labour was not astute, strong, or brave enough to say to New Zealand First they wanted to form a Labour/Greens coalition that they were welcome to join, or else they could keep the National Party in office. In the event, the Greens were jilted and relegated to the position of confidence and supply partner. Ever since, they have been struggling to reinsert themselves into the major policy loop, and this is but the latest example. It could yet prove their most effective if they can force New Zealand First’s hand. But a more likely outcome is that New Zealand First will fudge and delay a decision as long as possible, quite possibly beyond the current Budget cycle, to make it difficult for Labour to legislate in advance for the post 2020 capital gains tax, as it wishes, while all the time keeping its own powder dry. 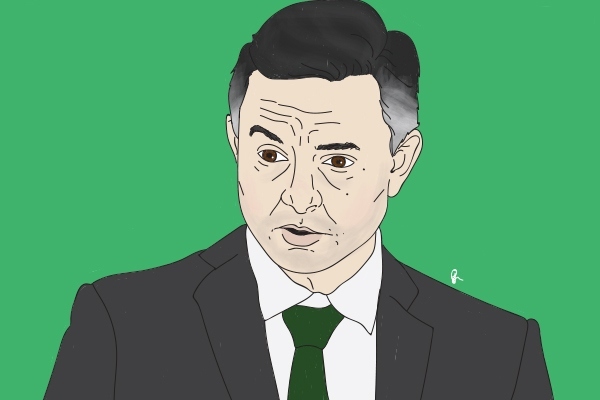 Although James Shaw deserves acknowledgement for doing his best to try to keep New Zealand First honest, he has in reality shown once more that when it comes to realpolitik New Zealand First will continue to run strategic rings around the hapless Greens. There are better and more effective ways of taxing property transactions if the Government needs the money than a Capital Gains tax , or to stop rampant speculation . Why not make all property transactions subject to GST for example ? 15% on a $700,000 sale is $105,000 GST each and every time a property transacts?! I'm not sure that's what you had in mind? Much better to levy, say, 15% CGT on each and every sale. If the price is unchanged at $700k, tax payable is....$Zero. That doesnt make any sense, make sure you get back 1.15x? Madness. This is one of the many reasons you dont put a CGT on the home. Sitting at 2.9% Winston needs a big win, so if he is to support the reform his payoff will need to be immense. Wonder what the Greens/Labour will give him. NZFirst support always drops in the years between elections. If it were at less than 1% I'd agree with you, but 2.9% is nothing to be too concerned with. When they are in opposition they ramp up attacks on the government during election campaign and spell out common sense solutions as alternatives - get the votes. Only works in opposition. When they are in government, the slide does not get arrested and they lose. The only way I can see NZF not being there after the next election is if Winston isn't around. Winston has an uncanny ability to pick out one issue that voters really care about and play on that issue during an election campaign. I think he will have a handful to choose from, and the easiest win will be something that Labour/Greens announce around climate change mitigation. There are probably more blue votes to be had from climate change deniers than opposition to a family home exempt CGT. For some reason or another Dunne is on the record as having very little time for Winston so I'd take any editorialising by him with a grain of salt. IMO Peters will be very vunerable this next election. He would have had 3 years at the top and it will be very hard for him to pull an issue out of thin air and campaign on it without upsetting parts of the Labour led coalition. As a side note both of my mates who voted NZF have both said had they known NZF was going to go with Labour they would have voted differently. Don't worry NG, Winnie knows full well that the Pollies will give him an issue to ride on. IMHO he is far to astute, and he knew absolutely what he was doing when he went labour. More to the point he was right, as much debate since has shown. He knew we were too far right, and he will stop this Government going too far left. As to your mates - if they couldn't see what was needed, they didn't deserve the vote. "15% on a $700,000 sale is $105,000 GST each and every time a property transacts"
This is not correct. It only applies to new houses, or those bought and sold by dealers in property. There is no GST on second hand homes bought by private owners, and there is no GST on leased commercial property which are correctly treated as businesses, or going concerns. Hence buying a new house or apartment is bad business because a private buyer has to pay not only the top current price, plus the developers profit but GST as well. "Why not make all property transactions subject to GST for example ?" Peter Dunn should go back and clean up the mess he left behind when he changed the NZ Fire Service around. A huge increase of 40% in our insurance levy to fund this foolish amalgamation which resulted in FENZ showing a surplus of over one hundred million dollars in the 2018 financial year and 40% of employees earning over $100,000 a year in wages and salaries. He stated that the levy increase will last around 18 months and expected levy's to come down after that. Yea, right. The uninsured still get a free ride. What you should be concentrating on, Peter Dunn, is to go back and ensure that these levys do come down and you keep your word other wise you are a man of little or no integrity. "He stated that the levy increase will last around 18 months and expected levy's to come down after that. Yea, right. The uninsured still get a free ride. What you should be concentrating on, Peter Dunn, is to go back and ensure that these levys do come down and you keep your word other wise you are a man of little or no integrity." Is that fair? PD may have expressed the intent at the time of implementation, but was not in a position, or was overridden when the increase should have been rolled back. I suspect that there is much we are not privy to behind the scenes. I have no problem with the criticism, but only if it is legit. Agreed. What a legacy to leave when he has done a runner. What integrity?? Man imagine if this actually had something to do with the article or topic at hand at all. 40% levy increase - legit. Financial facts taken from Fenz 2018 annual report - legit. Yeah right, put GST onto house sale transactions? Boatman was taking the piss! Putting tax’s onto anything just increases prices so that will work! Capital Gains is a dead duck, just like KiwiBore, Pike River, reducing child poverty etc. etc. Coalition of Nillers are gone!! I don't think voting against CGT will spell the end of NZF. That 3 poll was surely a rogue, low budget effort and defies credibility. But Bridges does need to show some backbone and deal to JLR. Winston's a match for anybody currently in Parliament, and has done a good job as foreign minister. Gravitas, and low down cunning. Great political skills. The house flippers are the problem.